A few days ago I spent the day at this studio that my parents have here in Alabang. 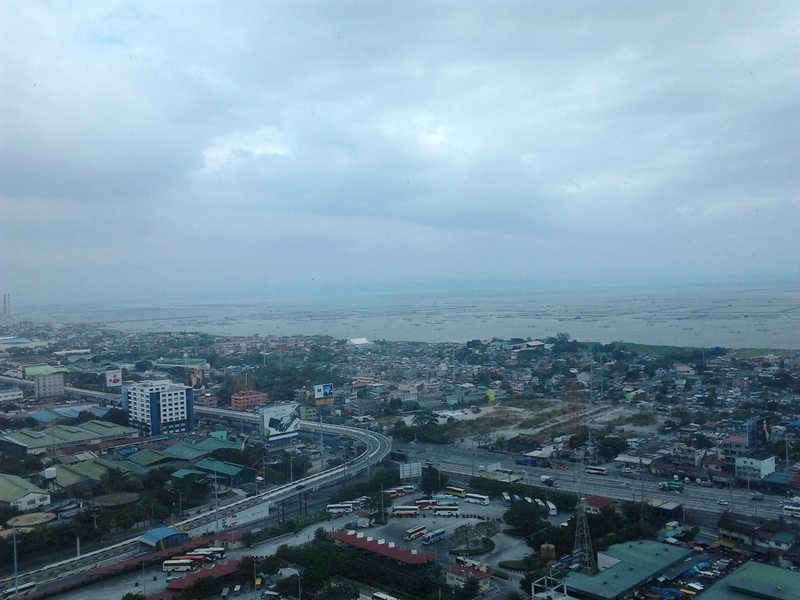 It’s 26 floors up and it overlooks Laguna de Bay. They use it as a meeting room for their company but on most days it’s empty and I was in the area that day and decided, hey–why not spend the whole day, here and write? The day ended up being really productive and I was able to come up with a couple of first drafts for projects that will be coming out soon. I went back the next day but this time my brother decided to come with me and I just couldn’t concentrate. It wasn’t that he was noisy or being particularly intrusive but I think Virginia Woolf was right (write, haha) about needing a room of one’s own if you are to write proper fiction–or I think, create any art. And I don’t mean that just literally: the studio is bigger than my room (significantly so) but today I’m home alone and the sun is coming in through the window and sitting at my desk and I know I’ll be able to do what I have to. Maybe space is less about actual space and more about solitude. Maybe it’s about being able to disconnect yourself from having to interact with people and allowing yourself to take the spectator’s point of view–the critical thing in writing fiction or creating art, I think. This doesn’t mean that you should be in your room all the time, though–I think the room or workplace is for putting things together: but in order to have things to write about and to be able to generate new ideas, you have to do other things as well. I think most ideas and most bits of drafts happen while in transit or while doing something absolutely (or seemingly absolutely) uncreative like lining up to pay for graduation fees or waiting for an available stall in the bathroom. This is also why I figure I don’t think I want to just do freelance work–I would also like to get a job that requires me to be somewhere, at a specific time. I would like to have a ritual and the coming and going aspects of a regular job. I was thinking about things I’ve learned thus far in my life and I think that commuting is definitely one of the skills I’m happiest that I’ve learned. And even if I’ve recently learned to drive like a proper human being, I don’t think I’ll be giving up commuting. Driving is its own ordeal and its own activity with numerous conveniences but commuting allows you to think and provides a necessary transition, not just between where you were and where you’re going but also between the active idea-generating state of mind and the more contemplative idea-collecting state of mind.